Performance of your computer is directly related to disk performance. If drives on your computer are highly fragmented, file access on your computer becomes slower leading to overall low performance. It is always good practice to defragment and optimize your computer disk drives regularly to make your computer run efficiently. Windows provides Disk optimization utility to analyze, defragment and optimize your computer drives on demand, as well as configure Windows to automatically optimize your drives at scheduled intervals. 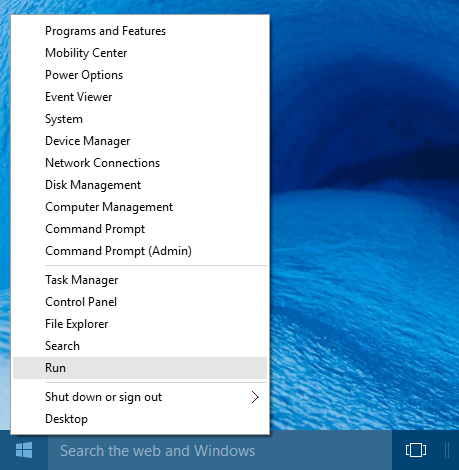 Open Windows Run App by right clicking Start button and select "Run" in pop-up menu. You can also open Run App by pressing Windows+R shortcut keys. 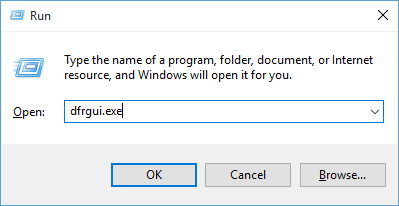 Type dfrgui.exe in Run App and click on OK button to open Optimize Drives Utility. Optimize Drives Utility will show all drives on your computer, with type of drive, date when optimization was run last time, current status and fragment percentage of drive. You can check if you want to optimize (defragment) drive by running Analysis on drive. Under Status, select drive that you want to analyze, and click on "Analyze" button to start analysis on selected drive. When analysis is in progress, current analysis percentage will always be displayed in Current status column. After analysis is complete, Current status column will show updated fragmentation percentage of your selected drive, and will tell if you need to optimize the drive. If the Drive is more that 10% fragmented, it is recommended to optimize drive. Select drive that you want to optimize and click on Optimize button to start drive optimization. Optimization may take few minutes to few hours to complete depending on fragmentation percentage. You can use your computer when optimization is in progress. 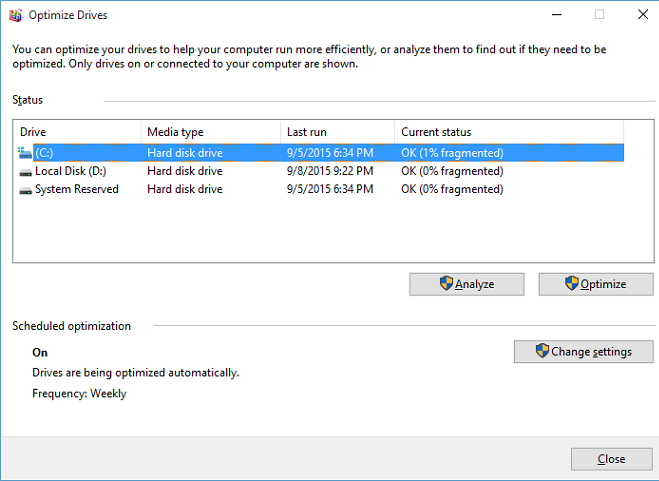 By default disk defragmentation is scheduled to automatically run weekly on all drives. You can also change default settings in "Settings" dialog. Click on "Change settings" button to open Settings dialog. 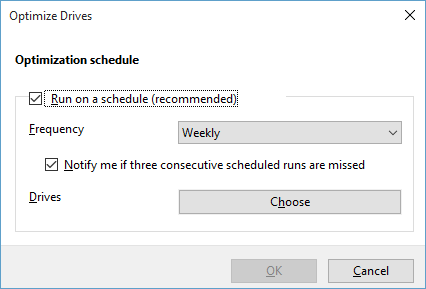 In Change settings dialog, you can enable or disable automatic disk optimization by checking or unchecking "Run on a schedule" checkbox, change optimization frequency by changing "Frequency" drop-down value, or select the drives for automatic optimization by clicking "Choose" button next to "Drives".